A Maryland travel agent accused by customers of scamming them out of thousands of dollars by selling fake flights to Latin American destinations is behind bars again for violating her probation for a prior theft case. 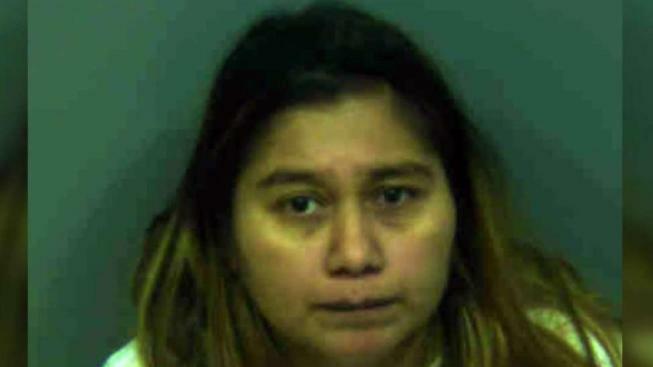 Lorena Balbuena Aguilar of Azteka Travel was in custody in Prince George's County, News4's sister station Telemundo 44 first reported. According to multiple people who spoke to Telemundo 44, all of whom are from the Latino community, the Hyattsville agency advertised airline tickets to destinations in Mexico and Central America through social media and other ads. After receiving cash or credit card payments from customers, an employee would allegedly promise to handle the ticket purchases from the airlines, but customers said the travel reservations were never made. When customers tried to contact the travel agency to resolve the problem or ask for a refund, they say they did not get a response. Telemundo 44 contacted 30 people who claimed to have been scammed. Some said they lost thousands of dollars. "It hurt to have lost that money because you work with so much sacrifice and for another person to come and take it like that, it is not fair," Maritza Osoro, one of the alleged victims, told Telemundo 44. Another woman said her family's dream to visit their homeland was stolen. "In my case, we were going [to El Salvador] after 12 years," Gladys Escobar said. "We were going on this trip with my mom, an aunt, my family." "I feel disappointed," she said. "Disappointed by the fact that a person from our community, especially a person who comes here, I think, with a dream to the United States, not to scam others." A Telemundo 44 investigation uncovered that 33-year-old Balbuena Aguilar had previous run-ins with the law. Court documents show that in 2017, Balbuena Aguilar pleaded guilty to charges of theft. She was sentenced to five years of probation and was ordered to pay back nearly $34,000. Balbuena Aguilar was taken into custody on March 6 for violating her probation. She faces multiple theft charges and is set to appear in court on April 1. Balbuena Aguilar's husband, Luis Lopez, appeared in court Thursday after two families sued him and alleged that he participated in the theft since Azteka Travel was registered in his name. One family said they were able to reach a settlement with Lopez. The second family was unable to come to an agreement with him. According to multiple people who spoke with Telemundo 44, Balbuena Aguilar signed the checks for the fake travel arrangements under Lopez's name. "What I thought was strange on the papers was, why was she signing under the name of Luis Lopez? So who was Luis Lopez?" Fidelina Martinez, one of the alleged victims told Telemundo 44. If you believe you have been a victim of Azteka Travel, contact Prince George's County police to file a complaint. You can also contact the Consumer Protection Division of the Maryland Office of the Attorney General by emailing consumer@oag.state.md.us or calling 301-386-6200.